This is my new favourite side. The citrus flavour makes such a difference but it’s beautifully subtle so it goes with practically anything. It’s particularly gorgeous with a curry but I’ve yet to find something it doesn’t taste great with. I love how easy it is too! Add the olive oil to a sized medium pot on medium heat. Use a peeler to peel the rind of the lemons into strips. Add them to the oil with the mustard seeds, cooking until they start to pop. 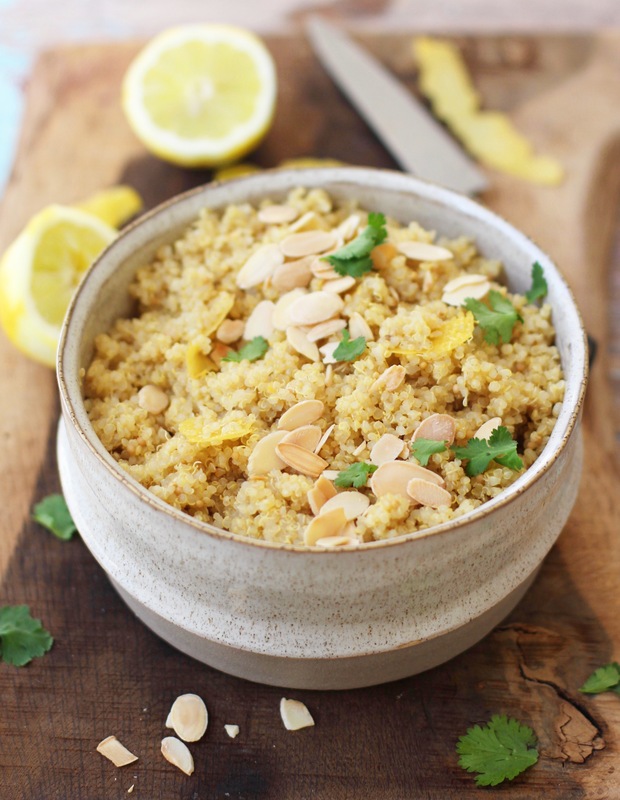 Add in the quinoa and toss it well to coat it in the peel and seeds. Pour in the stock and the juice of both lemons and pop the lid on. Let it simmer for about 20 minutes until all of the liquid has been absorbed. Take it off the heat and fluff it with a fork. Then pop the lid back on and leave it to steam. Toast the flaked almonds in a frying pan until golden. 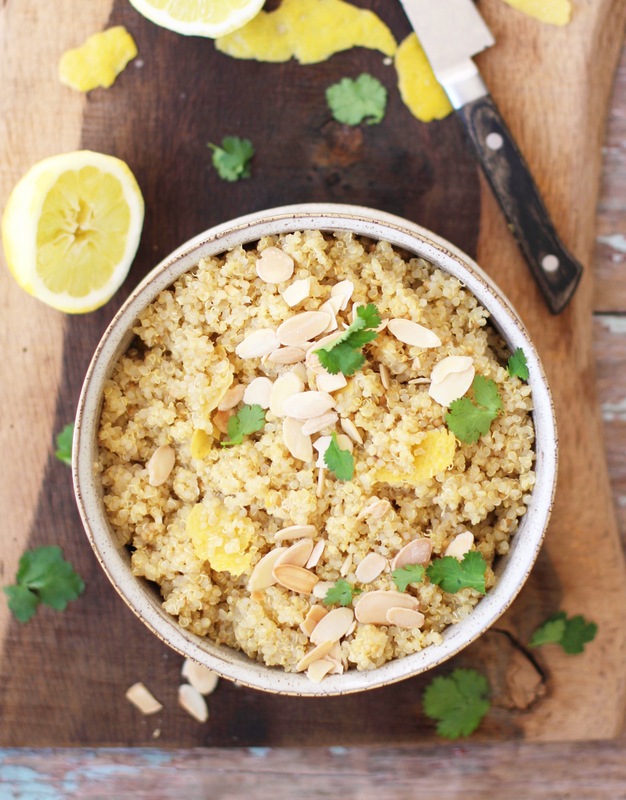 Fluff the quinoa again and then serve with the flaked almonds and fresh coriander on top.